Balkowitsch Enterprises is Now Offering the NEW Novafon PRO SK 2 Intrasonic Novasonic Professional Massager Chrome! The new Novafon has replaced the older Novasonic models on the market and are updated with the latest improvements and features. It comes with two levels (50 and 100 Hz) and a handy extension handle. Due to two frequency levels you can choose between the regular (100 Hz) mode and a percussion (50 Hz) mode. The Novafon PRO is the most versatile device and suitable for almost every application. If you have any questions please call us at (800)355-2956. Balkowitsch Enterprises is Now Offering the NEW GMS Med-E-Lert Medication Medicine Pill Dispenser Dual Clear and White Lid! Featuring a secured, tamper-proof locking key system to avoid over-medication and an easy to program interface, the MedELert is an ideal assistant for Alzheimer's and Parkinson's patients, visually or mentally impaired individuals, patients with complicated daily medical regimes or for those who simply need help adhering to a new medication schedule. 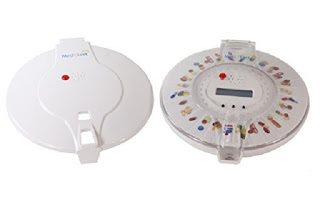 Three different alarm tones and a blinking light alert the patient when medication needs to be taken and will not turn off until the pill dispenser is tilted on its side to dispense the pills. The MedELert Automatic Pill Dispenser includes separate interchangeable solid white and clear covers and 6 different discs which can be inserted on top of the tray to indicate the day of the week and the time of day depending on the number of doses needed daily. Loved by the elderly and caregivers alike, this deluxe medication dispenser is a welcomed addition to the daily routine. 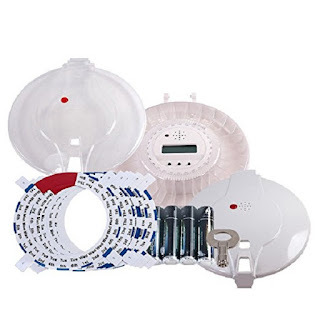 Caregiver facilities love the savings the MedELert Automatic Pill Dispenser provides them as it not only reduces the need for personnel to distribute medication, but also reduces risks of over-medication and the health complications as a result. Enjoy the convenience and peace of mind of having your own dedicated personal medication coordinator. If you have any questions about this product, please give us a call (800)355-2956. - To acknowledge alarm and dispense medication - pick up Med-e-lert with one hand and gently tip upside down; pills that are in open slot will be dispensed. Balkowitsch Enterprises is now offering the NEW Novafon Classic SK 1 Intrasonic Novasonic Professional Massager Chrome! The new Novafon has replaced the older Novasonic models on the market and are updated with the latest improvements and features. NOVAFON classic is the device which has been developed over 70 years ago. It has proven its worth for a very long time. NOVAFON classic comes with one level (100 Hz) and its vibrations reach 6 cm deep. It is a robust and handy companion for daily use. If you have any questions please call us at (800)355-2956. Balkowitsch Enterprises is Now Offering the NEW Dechoker Life Saving Choking Emergency First Aid Device in Three Sizes! Be ready to respond when someone experiences a choking emergency in your home or business. The Dechoker* is an anti-choking device small enough to keep with a first-aid kit. 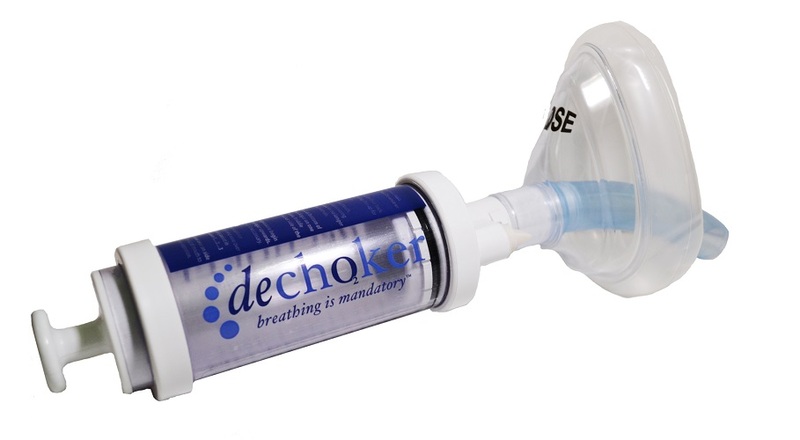 The adult-sized unit is designed for ages 12 and up.The Dechoker uses powerful suction to remove fluid and materials from the airway. It works in seconds and is easy to use on yourself or someone else. Registered as an FDA Class I & II medical device, the Dechoker is manufactured ISO13485 compliant. Dechoker can be used for up to two years in a home. It is designed for single use in public spaces or places of business. When you consider the safety of your family, friends, workplace, and community, having the Dechoker on hand can give you peace of mind. It seems like a child explores its world with its mouth, which makes the risk of choking a continual concern. The Dechoker for Children unit is designed for growing children from 3 years to 12 years old. It has a nose piece small enough to fit on a small child’s face but is powerful enough to dislodge debris from the airway. When safety is your highest priority, making a Dechoker unit part of your first aid or medical kit keeps you prepared for any choking emergency. It also fits in a regular sized diaper bag, stroller, or backpack so it is easily portable. Registered as an FDA Class I & II medical device, the Dechoker is manufactured ISO13485 compliant. Dechoker can be used for up to two years in a home. It is designed for single use in public spaces or places of business. The Dechoker for Toddlers unit is designed for toddlers 12 months to 3 years of age. It has a nose piece specifically modeled for small faces as well as a shortened tube for the perfect sizing. Be prepared for any choking emergency by keeping a Dechoker unit close at hand. It also fits in a regular sized diaper bag, stroller, or backpack so it is easily portable. Registered as an FDA Class I & II medical device, the Dechoker is manufactured ISO13485 compliant. 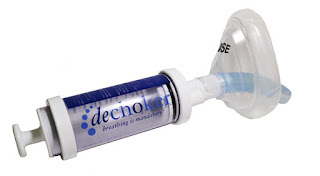 Dechoker can be used for up to two years in a home. It is designed for single use in public spaces or places of business. 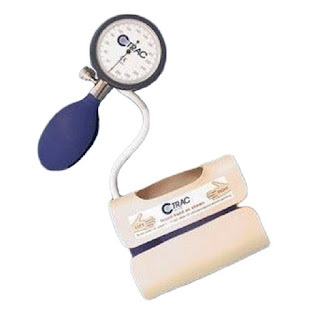 Balkowitsch Enterprises is Now Offering the New Carpal Doctors C-TRAC Arthritis Relief Hand Traction Unit! C TRAC is a patented medical device that offers a non-surgical, patient-controlled treatment option for Carpal Tunnel Syndrom (CTS). 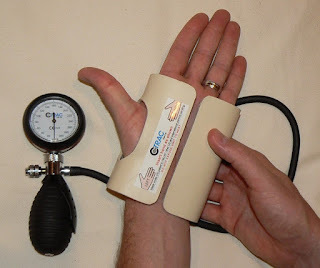 Just place C TRAC on your affected hand and inflate the cuff to start the treatment. Apply C TRAC for 5 minutes three times a day. You might start feeling results as soon as 2-4 days. Get back at life with C TRAC. In a matter of days you will start benefitting from this non surgical treatment option for your CTS. If you have any questions please call us at (800)355-2956. 2. The air bladder should be on the bottom and the opening of the "C" on top. 3. Rotate C-TRAC until the "thumb hole" opening is on the thumb side. 4. With the palm of your hand facing up, insert your hand through the opening nearest you, exiting the thumb through the "thumb hole." You can open C-TRAC with your other hand if needed. 5. You should see the middle of your palm through the opening of the "C" frame. 6. The air bladder should be in contact with the back (drosum) of your hand. 7. C-TRAC should feel comfortable, the thumb should exit the brace through the thumb hole. Once C-TRAC is on your hand, put the manometer in a place where you can hold the bulb with your other hand and be able to read the gauge. 1. Close the valve on the monometer by rotating the control knob clockwise. 2. Squeeze the bulb unitl the bladder inflates to between 180mmHg and 190mmHg as shown on the guage of the manometer (do not overinflate). Leave C-TRAC in this state for 2 minutes (if there is a loss of pressure for any reason, just squeese the bulb again until you reach the prior point on the gauge). After two minutes, deflate the bladder by turning the control knob counter-clockwise. 3. Wait one minute, then reinflate the bladder to the same point (between 180mmHg and 190mmHg). Wait another 2 minutes. 5. Repeat the process 3 times a day for 6 weeks. Balkowitsch Enterprises is Now Offering the NEW BelleCore BabyBelle Body Buffer Muscle Recovery Beauty Massager Deluxe Kit! The Original, award winning babyBelle® bodybuffer Deluxe kit with Universal Motor, transformer/converter for easy international use. A compact powerful device, perfect for professional and home use. Random orbital oscillation technology combined with a percussion stroke produces a deep soft tissue vibration massage that helps increase circulation and lymphatic drainage, reduce the appearance of cellulite, exfoliate, rejuvenate and smooth the skin while increasing collagen function that diminishes fine lines, wrinkles and stretch marks - plus other beauty, wellness and fitness benefits. Not to be used on the face. Includes: Two terrycloth bonnets, Two 2 oz tubes of BelleCore Hydrating Cream, an Owner’s Manual, and a chic drawstring pouch. If you have any questions please call us at (701)223-9936 or Toll Free (800)355-2956. How do I first use the bodybuffer? First, place the bodybuffer on bare skin and switch ON. Keep the bodybuffer in motion at all times. Switch OFF before removing from skin. Can I use the bodybuffer in the shower? No. The bodybuffer is an electrical device which must be used and kept in dry conditions away from water and moisture. How quickly can I expect to see results from bodybuffing? Immediately. You’ll relieve sore muscles, increase circulation and exfoliate skin to a smoother texture with just one buffing session. When I bodybuff my skin turns red and feels itchy. Is this normal? Yes, bodybuffing increases blood flow to the treated area. This often causes the skin to temporarily redden and can provide a mild itching sensation. These effects are not harmful and will subside after your bodybuffing and applying the hydrating cream. Can I bodybuff while dressed? No, the device is to be used on bare, dry, cool skin. Do not use lotions or creams on the terrycloth bonnet. It is to be used dry. Are there areas I should never use the bodybuffer on? Never use the device on the head, face, front or back of neck/top of cervical spine, inner upper arm or breasts. Keep clear of long loose hair and loose clothing. Can I bodybuff if I am pregnant? Consult your physician before using the bodybuffer. It may be acceptable to bodybuff your lower legs, feet and arms, but never the trunk/torso nor anywhere near the belly. Can I bodybuff if taking blood-thinning drugs? No. If you take drugs like Coumadin or Lovenox you should not use the bodybuffer. If you take aspirin regularly, you should try bodybuffing a small area to see if you experience bruising. If not, you may bodybuff with caution. Can I bodybuff my feet? Yes, you can use the bodybuffer on healthy feet. Can I bodybuff when I have a tan? Yes, however, if you are sunburned you must not bodybuff until your skin has fully healed. Why do I have to use the hydrating cream after buffing? The bodybuffer is a powerful exfoliation device. Your skin may become very dry if you don’t apply a hydrating cream after treating. We designed our Hydrating Cream to complement and enhance the beneficial effects of your bodybuffer. How can I clean the bonnet on my bodybuffer? Natural skin oils and cells that shed during exfoliation will eventually soil the bonnet. Simply remove the bonnet, hand-wash it using a gentle detergent and allow to dry before slipping it back on the bodybuffer pad. Worn-out bonnets should be replaced.